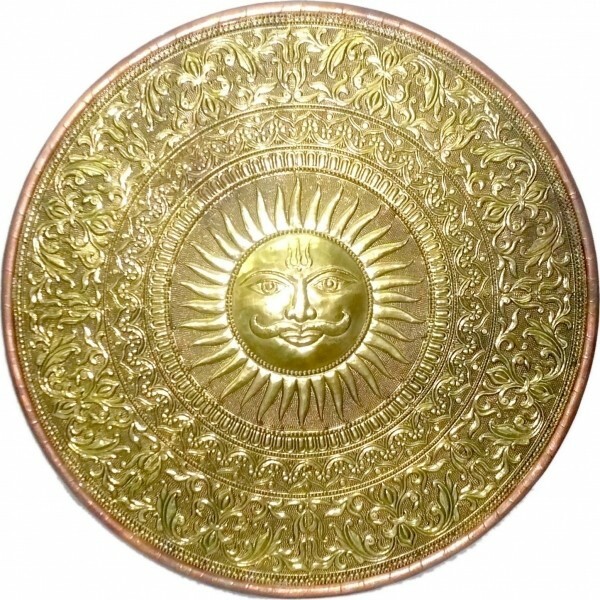 This Product Sun Wall Hanging Is Made In Fully Arted With Good Finishing Hand Work. Using Wooden,Brass Material And It Is A Hand Carving Worked Product. Dimensions: (Hxlxd) (Cms): 58.4 X 58.4 X 2.5.